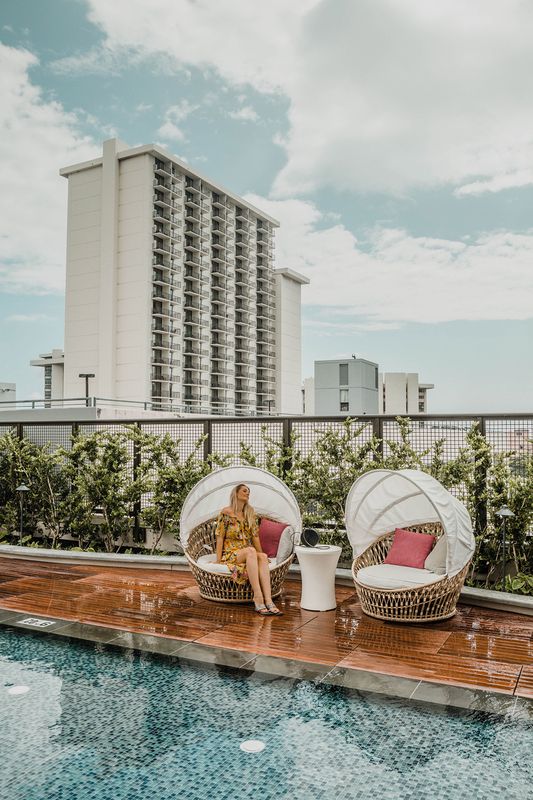 I had never stayed at a Hyatt Centric, so my stay at the Hyatt Centric Waikiki Beach was a real first for me. 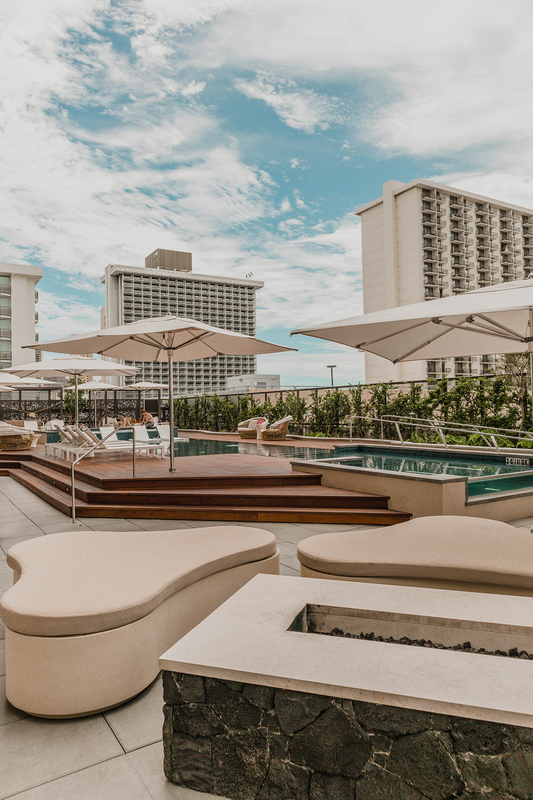 This boutique-style hotel is one of the newest hotels in Waikiki and as such really stands out. The check-in was at the 7th floor, which is a really cool, half open air space with the lobby almost pool side. 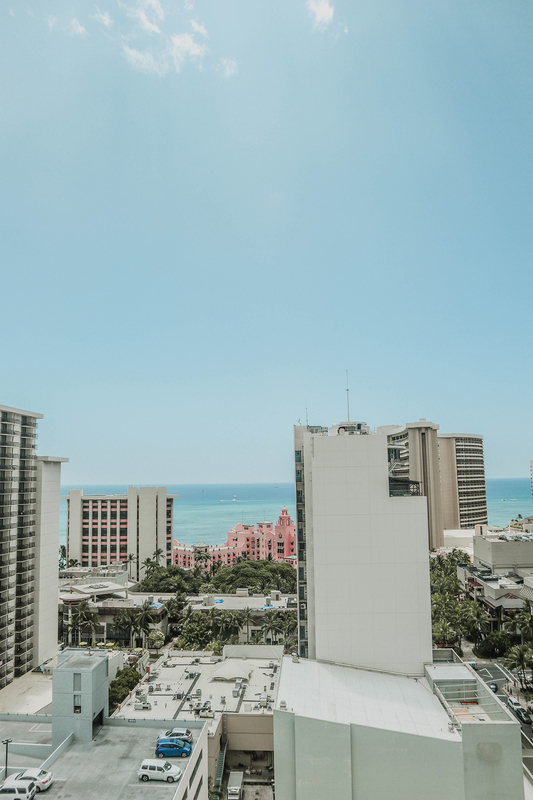 If that wasn’t a sweet reminder that this was Waikiki, the extremely friendly front desk staff that greeted us with puka shell necklaces and a fresh fruit juice put us straight into that laid back island vibe people flock to Hawaii for. 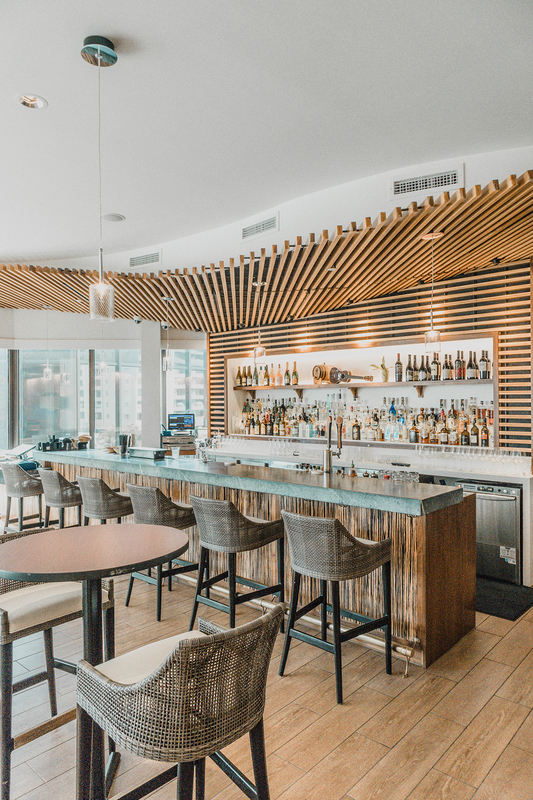 It turned out that all hotel services were on this floor: not just the pool, but also the large outdoor deck and terrace, the bar, business center, gym and the restaurant, aptly called The Lanai. The pool is more a wading pool than a lap pool, but I loved the cabanas and lounge chairs sprawled around it for maximum comfort and relaxation. The colours were all light, warm and pleasant, very fitting for a tropical destination and I liked touches like the large sofa that dangles from the ceiling. Hawaiian ukelele star Taimane was performing on the deck so I just couldn’t get in a more Hawaiian mood than right there! 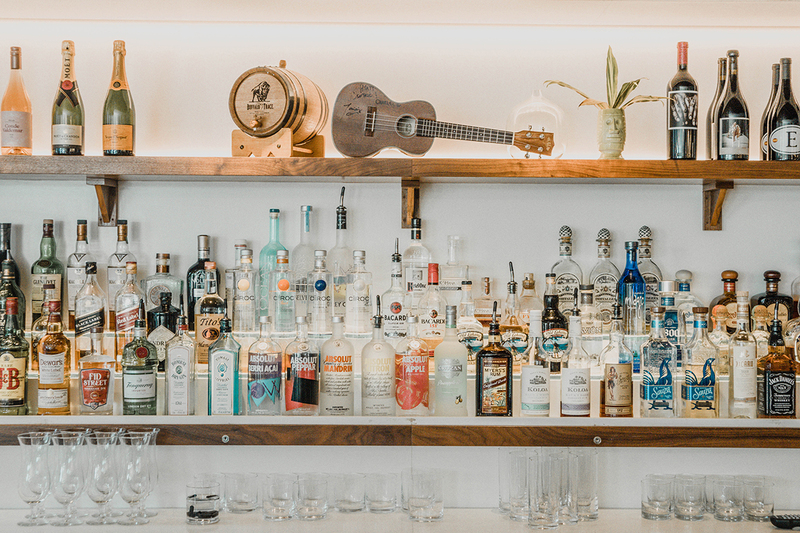 While sipping a cocktail, we marvelled at the spectacular view over downtown Waikiki and the Pacific Ocean, even though the hotel is not directly on the beach but a 5 minute walk from it. The upside of that, is that the Hyatt Centric is located right smack in the middle of all the shops, restaurants and bars that Waikiki has. And oh boy, does Waikiki have entertainment options… and I don’t mean the Starbucks downstairs or the Jamba Juice around the corner, but the high end stores and restaurants at the International Market Place a block down, or a more exotic choice like Sam’s Kitchen just down the street. 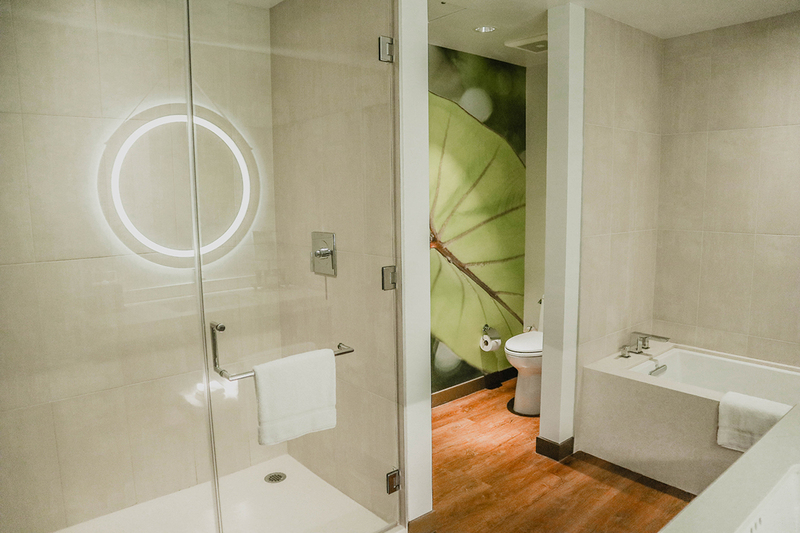 Our Ocean View Suite was located on the 17th floor with a separate seating area overlooking Waikiki, a super comfy bed and a very large bathroom with separate bathtub, a huge shower and toilet. 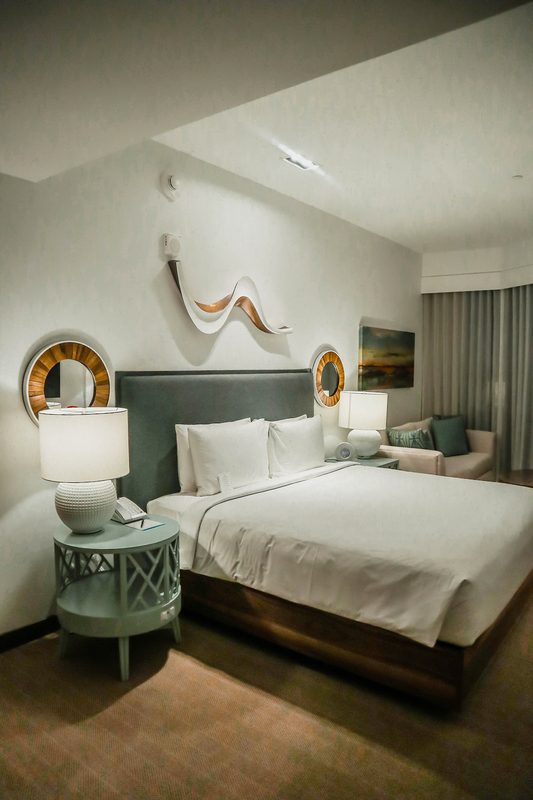 I especially liked the gorgeous mirror, a real statement piece that I’d love to have at home, as well as small details like the blowdryer by Drybar and the two reusable water bottles that are included in the resort fee. Very handy because the hotel offers water filtration stations at various floors for free refills! 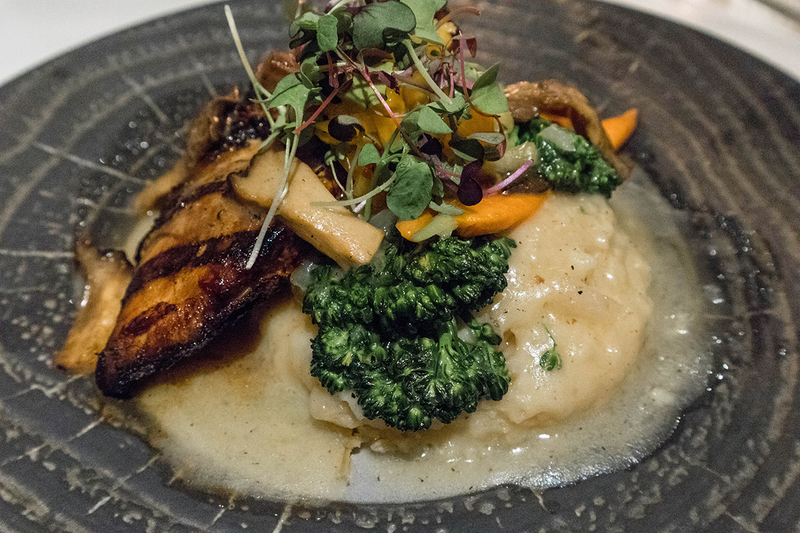 My tip is to definitely have dinner at The Lanai Restaurant and try local dishes like the Coconut Shrimp and the Kona Kampachi Sashimi, although the boyfriend insisted the steak was fantastic as well. The restaurant staff is extremely friendly and very helpful and knowledgeable in helping you select the best local dishes and flavours. 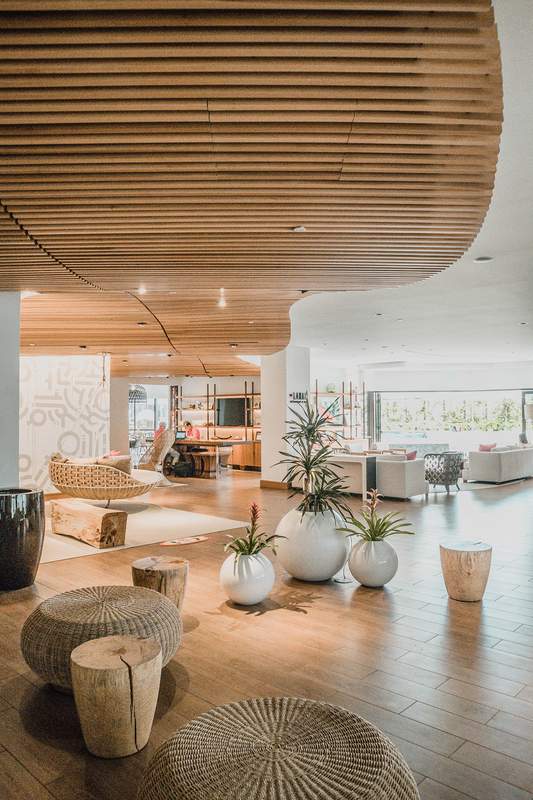 Actually, that goes for the entire hotel staff, because the people at the Hyatt Centric, from the front desk to the restaurant staff and everyone you meet as you discover the hotel, truly embody the famous Aloha spirit! 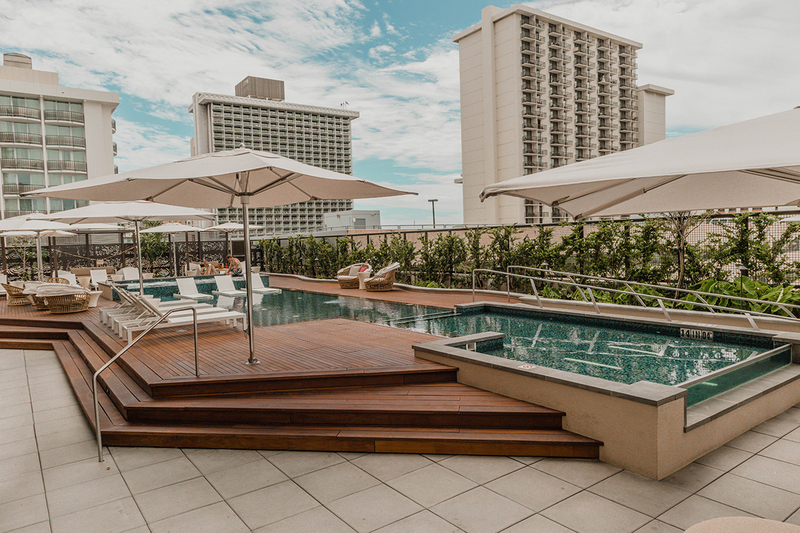 Posted in TravelTagged hawaii, Hotel review, Hyatt Centric, Pool, Travel blogger, Waikiki BeachBookmark the permalink. Wow it looks so gorgeous there! I love all of these pictures. So glad they were friendly, too! This place sounds magical, beautiful room and delicious food! Lovely photos, looks like such an ideal hotel! Incredible imagery as always babe! Looks like you had such an amazing stay! wow this place looks amazing, what a beautiful place to stay, the food looks absolutely delicious, and loved your maxi dress on you. Amazing photos and you look beautiful!! Love the modern decor at this resort! What a beautiful room and I adore your gold monochromatic look! Wow! Now this is luxury! What a beautiful place! Nice photos too! that pool area looked sweet, amazing review and hotel! 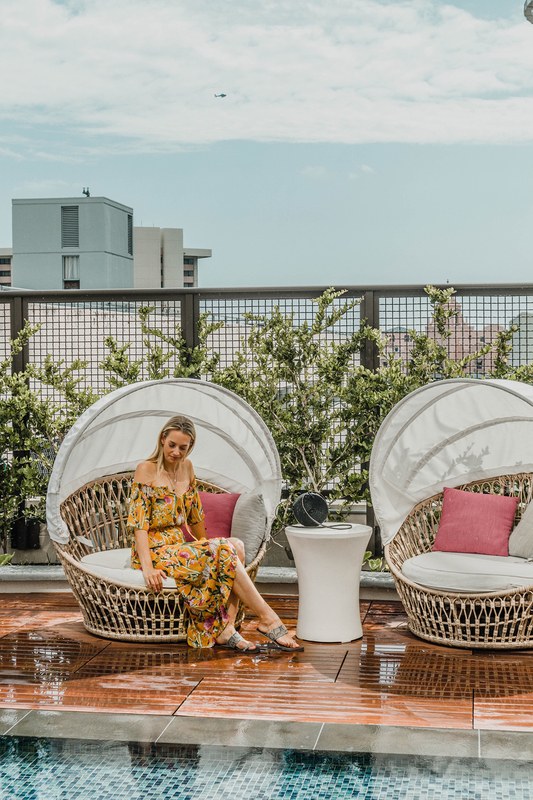 What an incredible place to enjoy for your stay Merel!!! Beautiful photos! You look great as always! Amazing blog post! Thanks for sharing! What a beautiful hotel! I love your photos, food looks delicious too! I really need a holiday. OMG what an amazing place !! 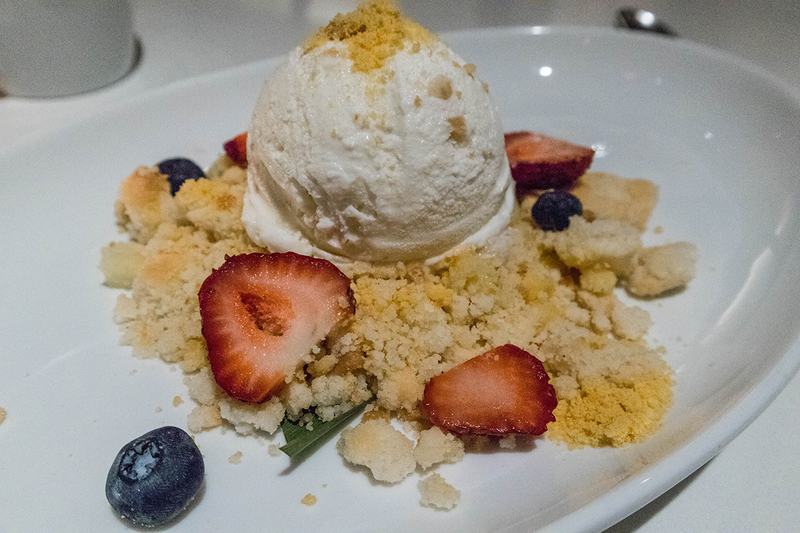 And of course: the food looks more than delicious!! This place looks like paradise! And your suit looks breathtaking! Oh my goodness, this resort is just BEAUTIFUL. Looks like such an amazing getaway. I would love to go to Hawaii! This hotel is too gorgeous! Your pictures are stunning + capture it so beautifully! I can definitely see why you think this hotel really stands out! Everything looks incredible! You look so beautiful and relaxed I love these photos. When I was in college (univ. of hawaii) we would sneak into the hotel pools and play like we were guest haha, never caused any trouble though. Oh my you really get to stay as some gorgeous places, the bathroom really caught my eye. How wonderful to get to do all that traveling. And love the gold-mustard yellow jumpsuit, very chic. You always find some amazing hotels. I love the hotel decor and your dress is fabulous. WOW! These photos are so gorgeous, especially with the blue skies! I LOVE the hotel decor. It looks like you had an amazing time! This hotel has so many lovely spots to hang out! that yellow outfit… I’m obsessed. Gorgeous place, clothes, and pictures! Beautiful hotel but that camel dress is incredible! Is that linen? Looks amazing on you!